Drove down to MCF&G this morning for a little bit of range time. 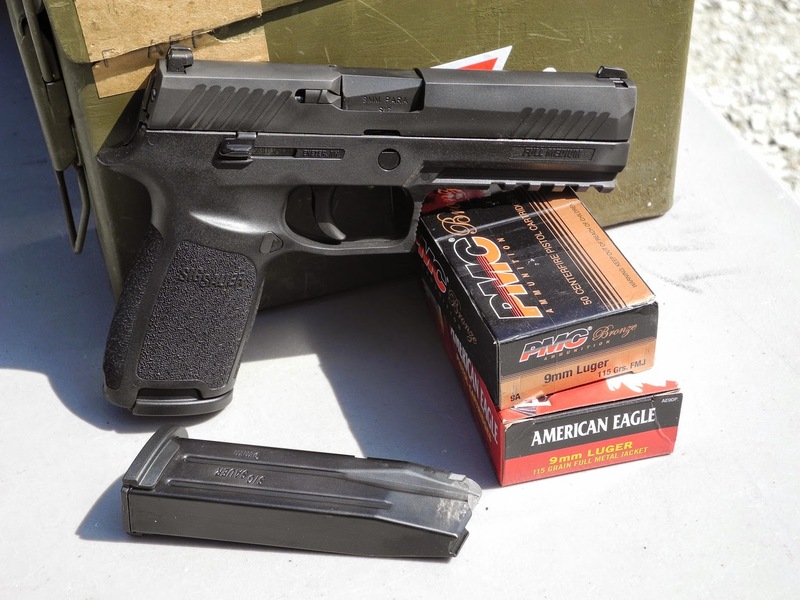 After a little bit of shooting with the M&P22, I ran fifty rounds of PMC Bronze 115gr FMJ and fifty rounds of American Eagle 115gr FMJ through the Sig Sauer P320. No malfunctions to report. That makes a total of 720 rounds fired without cleaning or lubrication since I took it out of the box. 1280 to go until it gets cleaned and lubed.